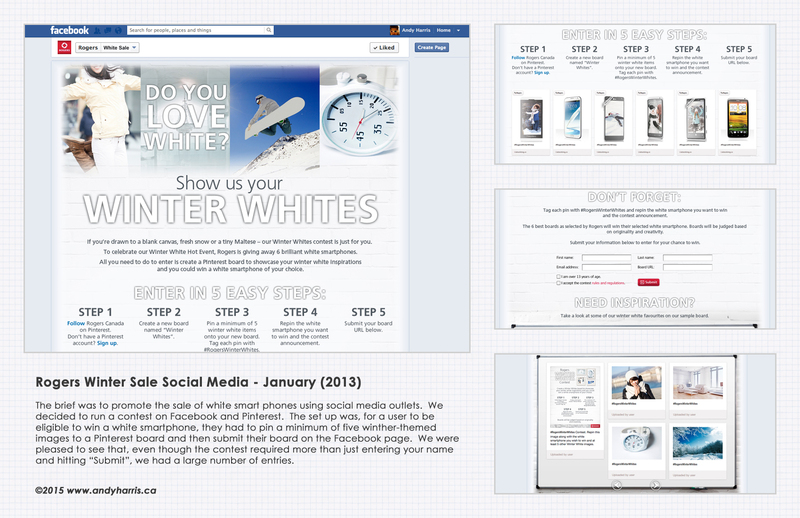 Rogers Winter Sale Social Media – January (2013) The brief was to promote the sale of white smart phones using social media outlets. We decided to run a contest on Facebook and Pinterest. 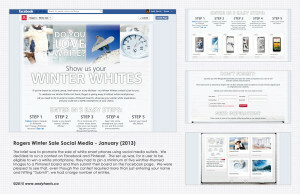 The set up was, for a user to be eligible to win a white smartphone, they had to pin a minimum of five winther-themed images to a Pinterest board and then submit their board on the Facebook page. We were pleased to see that, even though the contest required more than just entering your name and hitting “Submit”, we had a large number of entries.